Collect free donations when you shop with Explore! Shopping the easyfundraising way with Explore!, could not be easier. Follow the instructions below, and create an account today to start supporting a cause or charity of your choice. Explore run small group and tailor-made adventure holidays around the world, mostly off the beaten track and always responsibly. At Explore they've run small group adventure holidays since 1981. They are passionate about what they do and they love to travel. Oops! 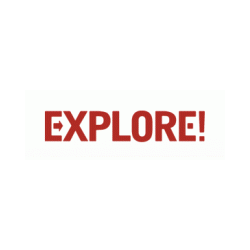 Your Ad blocker might block your donation from Explore!